We're in the dead of winter now, and I'm about ready to be thinking about some sunshine and short sleeves. So this week, let's talk about the Ease Tank, from Finish-Free Knits. 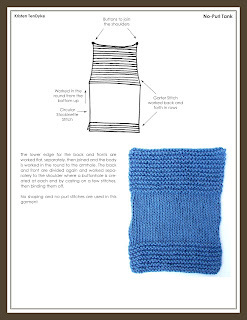 It's the first pattern in the book because I think it's the easiest—there are no purl stitches! This super-easy top is worked entirely with knit stitches (no purls! ), a few decreases, and a few buttonholes. The front and back plackets are worked back and forth in rows, then they are joined and the body is worked in the round to the underarms. The front and back are then worked separately in rows to the shoulders. Buttonholes are added to the front shoulders; buttons are attached to the back shoulders and voilá—a simple beautiful sweater! I wanted to include something really basic into the book, but I wanted it to have texture and a little bit of interesting detail too. Originally I planned for there to be no shaping at all, but when I got into the pattern writing I realized that the finished sweater would be much more flattering, especially on the larger sizes, if the armholes were decreased. This way the measurement across the shoulders aligns more with the natural curves of the shoulder and doesn't hang off all floppy-like. Rather than introducing a three needle bind off to beginning knitters, I opted to introduce the three-stitch one-row buttonhole. 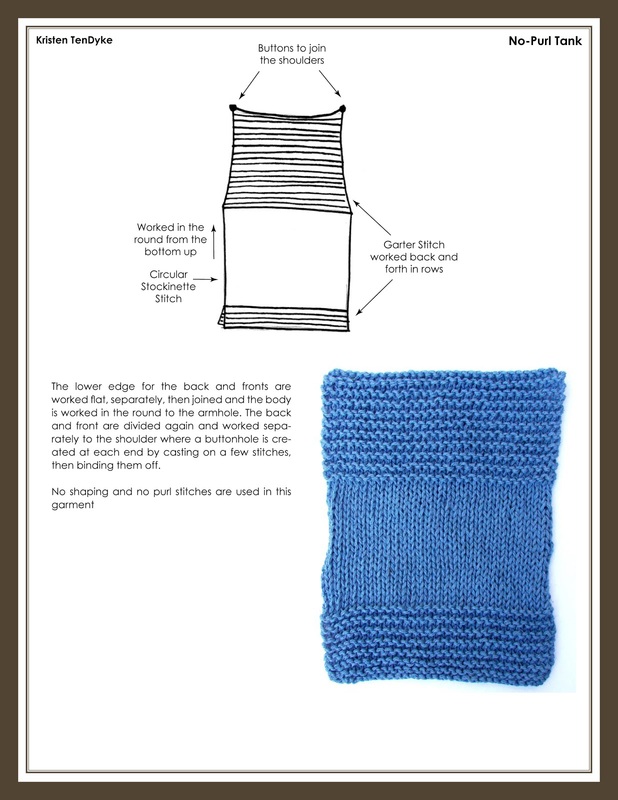 We've also included illustrated instructions in the glossary (page 156) explaining how it's done in detail! By adding buttons, the shoulders can be sealed without needing to actually seam (or seamlessly seam, as I prefer) the two pieces of fabric together. To make the sweater even more fun, I added little daisy buttons to the shoulders.